AFFORDABLE FIRST HOME FOR A LUCKY BUYER! Here’s your chance to break into the real estate market, with a property that’s in an up-and-coming area, set on a huge 700sqm (approx.) block. 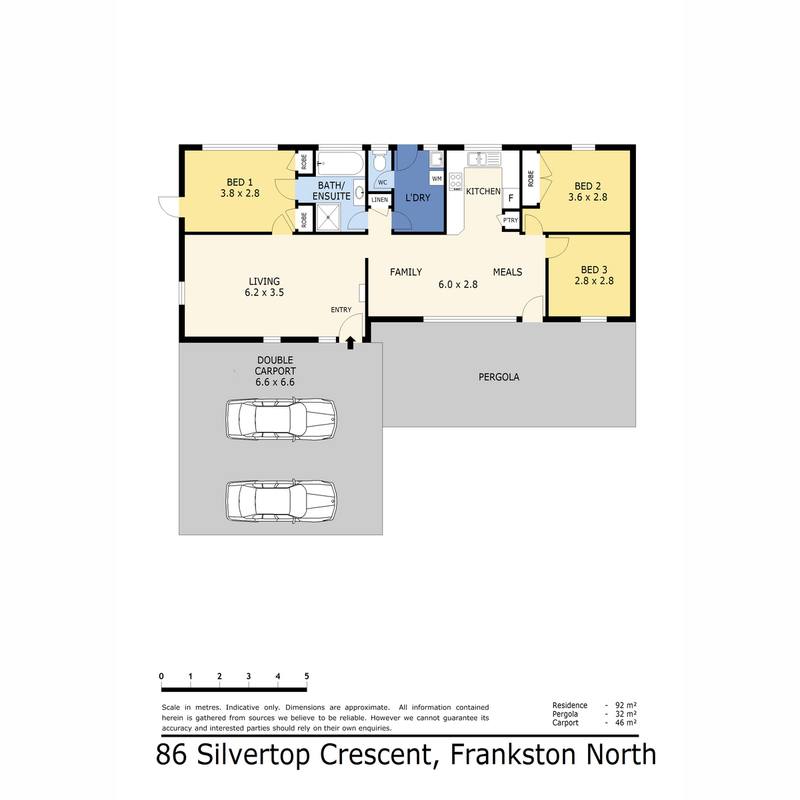 There’s so much scope to put your own stamp on this original home, located on a quiet stretch of the long and winding Silvertop Crescent, in a pleasant part of Frankston North that’s already seeing redevelopment, investment and a family vibe. The spacious front yard leads to the double carport and the front door, where you’ll step into the generously sized lounge room, made for cosy nights on the couch. The timber-toned floating floorboards found throughout the house add an air of warmth, with a new gas heater and an air conditioner completing the picture for year-round comfort. The master bedroom has two built-in robes and access through to the bathroom, which has been updated in recent years, and features a bath and standalone shower, plus a skylight to flood the room with sunshine. Through the far doorway is a linen cupboard, then the good-sized laundry (with access outside) and a separate toilet. The main space of the house consists of the well-appointed kitchen, decked out in neutral tones, and the open plan living and dining area, leading off to the large second bedroom (with double BIR) and bright third bedroom/study. Open the back door onto the long concreted pergola area that is perfect for summer entertaining. The back garden is extensive, with its mix of established plants, some lawn, and an old tool shed. Without doubt, the jewel in this crown is the brand new, enormous, purpose-built artist’s studio boasting power, a double sliding door, side door and roller door access. 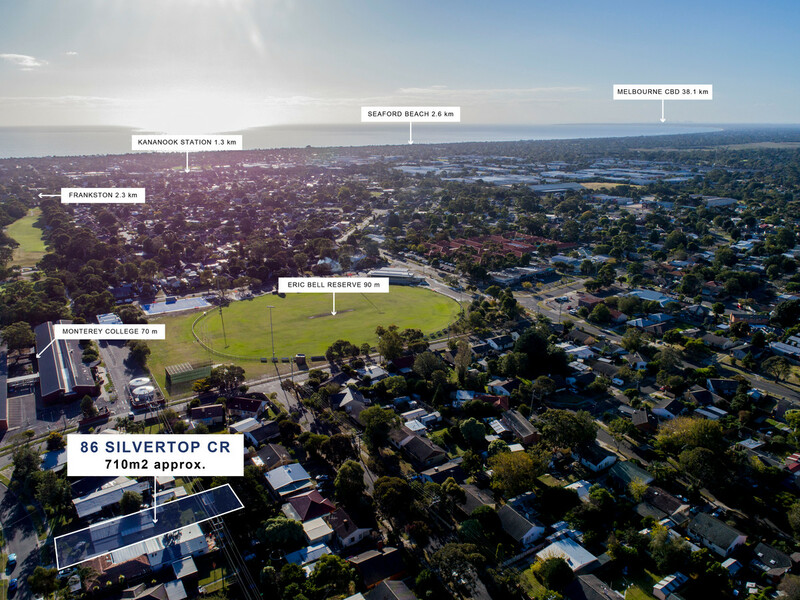 The home is an easy walk to the Mahogany Avenue shops (including a bakery, supermarket, chemist, post office and several takeaway businesses) as well as the Eric Bell Reserve, local high school, medical centre and playground. No matter what stage of life you find yourself in, this home can fit the bill. Inspect now!